Smooth running all-metal fly fishing reels appeared in the late 1800's. At this time there wasn't a wide selection of fly line types available, so changing lines while fishing wasn't an issue. Early fly lines were made from organic materials such as horse hair or silk, so after use they were removed from the reel and wound on a drier so that air could circulate freely around them. At this time, if an angler wanted to use a different fly line it was usually installed from a different drier. Polymer coated fly lines appeared after WWII. These lines were constructed from inorganic materials that didn't need to be dried between use periods. Also reels spools from this period wer ventilated so that moisture could escape. Also from this period to present, a myriad of line tapers and densities became available. Reels with quick change-spools became readily available. 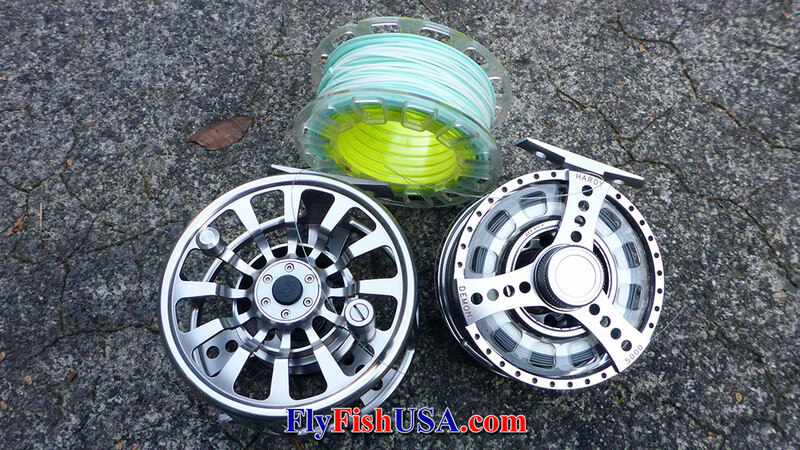 Currently quick-change extra spools are available for most popular fly fishing reels. 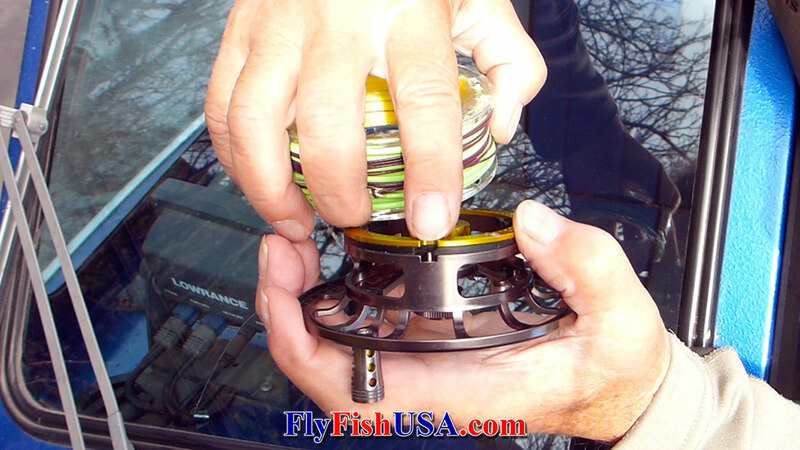 They allow anglers to carry loaded spools so that they can change fly lines easily by unlatching a spool from the reel and then replacing it with another spool loaded with line. 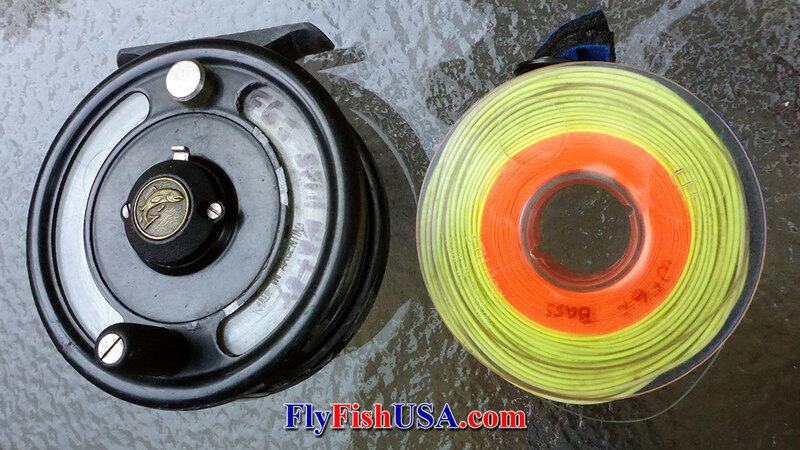 The majority of anglers have at least one extra spool for their favorite fly reel. This concept is quick and efficient, but carrying a selection of loaded extra metal spools results in a fair amount of weight and bulk. In some cases the weight and bulk is not much different than carrying the same amount of loaded extra reels. Few anglers carry very many extra spools in their fishing vest. During the early 1980's The STH company introduced a series of reels made in Argentina. They were revolutionary in one respect, instead of having changeable spools, clear plastic cassettes were changed within the single spool. These reels came in four sizes, and each reel came with three cassettes. It was like buying a reel and two extra spools. If an angler wanted to add more cassettes to his/her system they were very inexpensive (about $10). Cassettes were lightweight and best of all they didn't have a bulky handle. Two cassettes took up about the same storage space as a reel spool. The weight/bulk/expense problems associated with carrying multiple extra fly lines had pretty much been solved. The STH cassette reels instantly made market penetration. I bought two of them, one for lake fishing and one for Spey. For me the smaller 6-weight size reel (pictured above) worked fine and after over 30-years it and seven other cassettes are still loaded with lines and the whole system is still plenty usable. However the larger reel that was used for steelhead was problematic from the start, and many other anglers had various problems with STH Cassette reels. STH reels in general proved to be too weak for the general public and eventually they went out of business. The problem with the STH reels weren't the cassettes. It was that the reels holding the cassettes weren't made very well. Because I do a lot of different kinds of fly fishing, and because my staff and I are constantly experimenting, cassette reels have always appealed to me. And after the STH reels failed, I hoped that another maker would make cassette reels that were of better quality. Eventually it did happen and it was a company who had been making fly reels continuously for over 100-years. It was the Hardy company the made the refined cassette reel. They called it the Demon and two of them are pictured below. The Demon was everything that the STH was not. It was beautifully machined, sophisticated looking, smooth operating, and seemed durable enough. I got a lake size, and a Spey size reel. They worked fine. Only problem was, that I didn't catch on until it was near the end of their production run, so we never bought any to sell. We waited for the next generation of Hardy Cassette Fly Reels; the ASR series, then we tested one on the water for two full seasons. Are they the way I would have designed them. No, they are way better than anything I could have dreamed up. They are elegantly beautiful and practical to use. 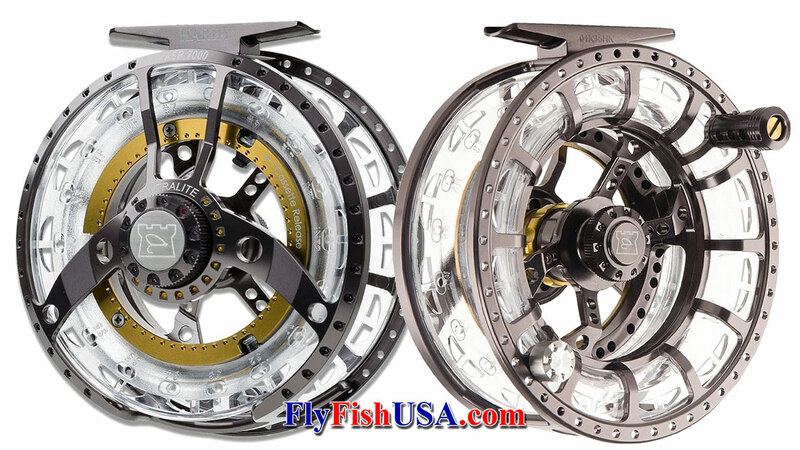 Hardy ASR Reels comes in 5 sizes from 4/5-weight to 9/10/11-weight. The model that I have had the most experience with is the 6000, which is rated as 6/7. It has been use with 3/4 size trout Spey rods and Skagit shooting heads of 275-330-grains, sinking tips, shooting lines and gel spun backing. 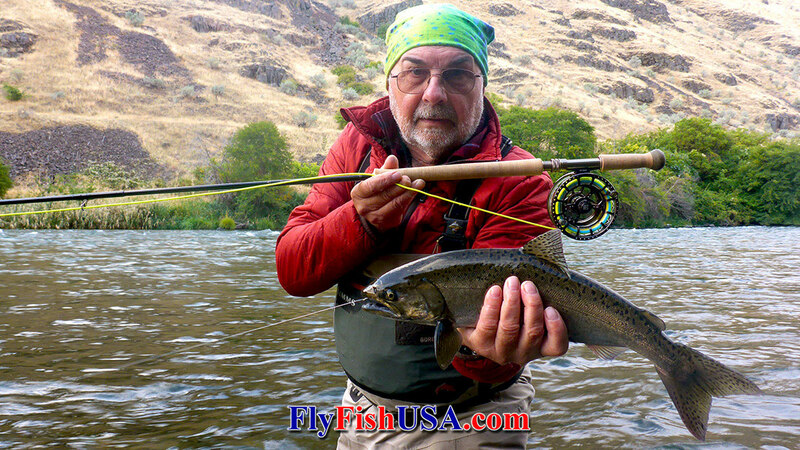 So far the largest fish landed with this reel was a very lively 29-inch steelhead. The reel has performed perfectly after being tested on trout, small mouth bass and a few steelhead.